36C in Seattle – really. Damn it’s hot. Loving the heat pump that keeps our main room 76F. 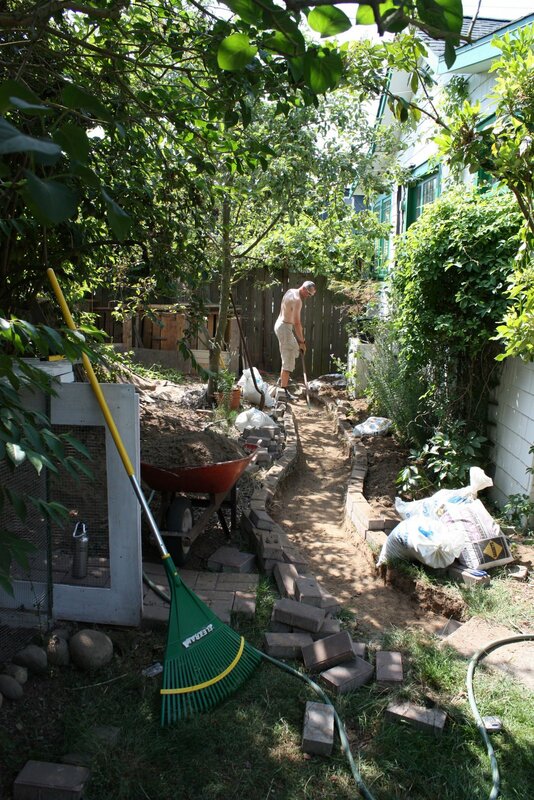 I’m actually loving the heat – it reminds me of other places I have loved – Ontario & Argentina – in the heat of summer. 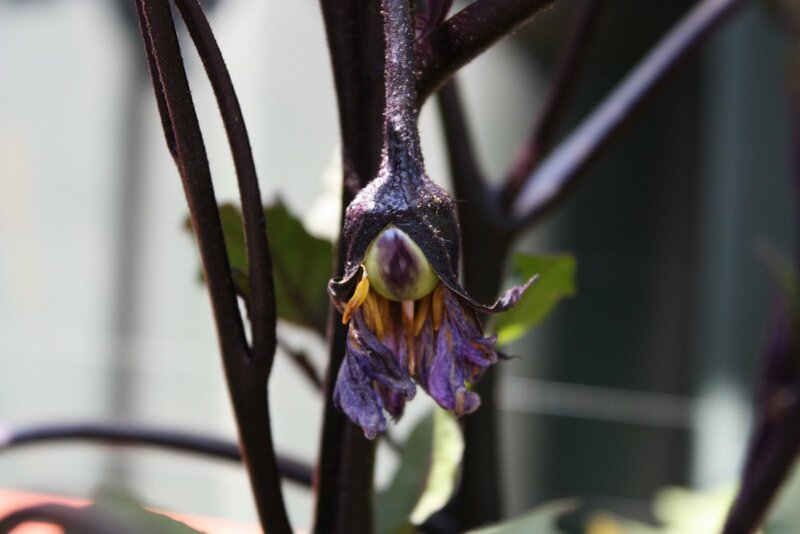 The smell of things growing, and almost burning. The nights warm and fragrant. And still there is work to do outdoors. 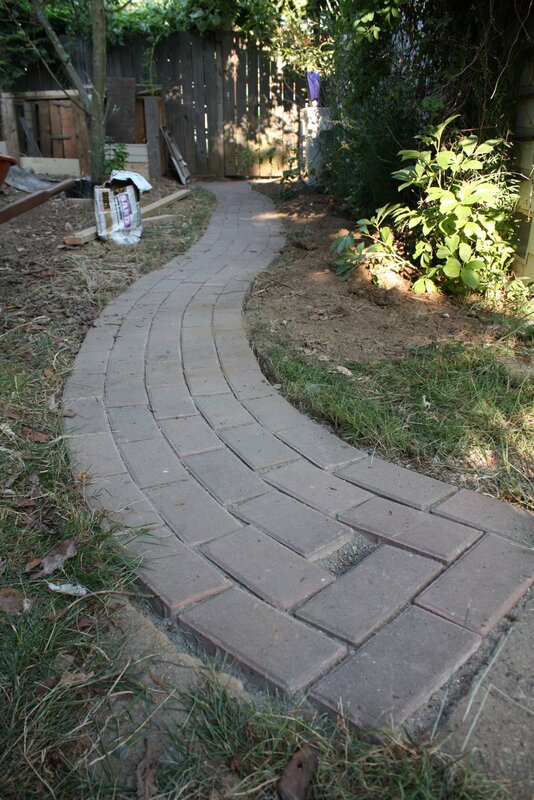 Last weekend when this heat spell really ramped up, we finally set in our brick walkway. 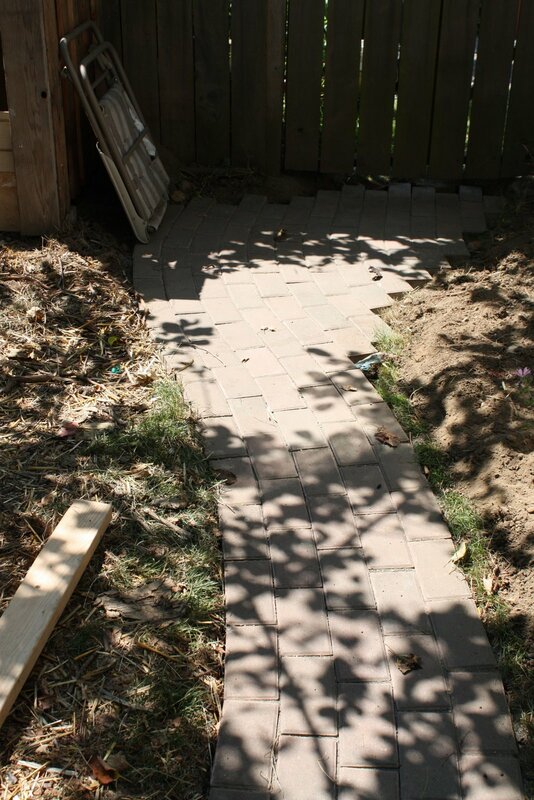 Generously handed off from cousins Kitty & Jeff down the street, we’d laid out the brick pavers in May and have been tripping over them ever since – putting off the big job of digging down and laying in the necessary support. Ultimate inspiration? The Edible Garden pre-Tour this past Sunday. 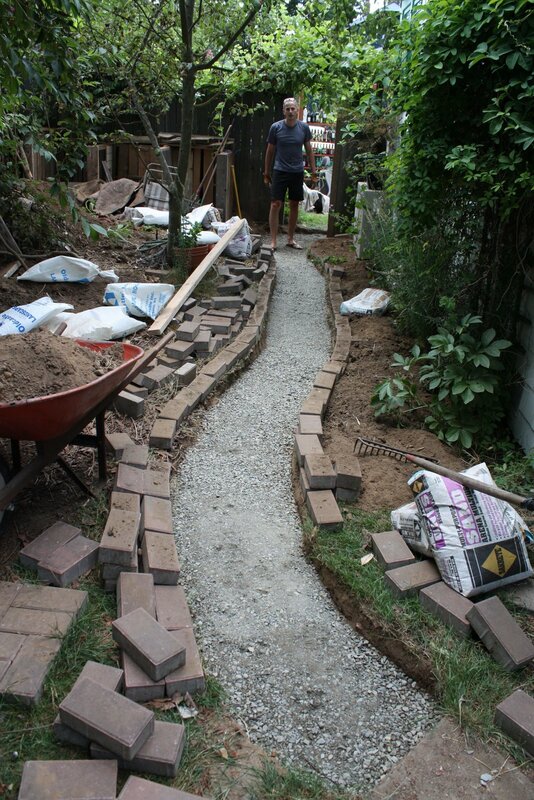 With a handful of other hosts expected to visit our yard, tripping over bricks seemed the most obvious mishap we could prevent. Bags of gravel, bags of sand. It looks easy cause I only took a coupla shots, but that actually tells you how hard it was. I missed shots of us digging down into crumbly hardpan. I missed the sand layer. And then leveling everything. I like to build things and I like to learn new skills, but if I’d had the money to do it over, I’d have paid someone to do this for me. 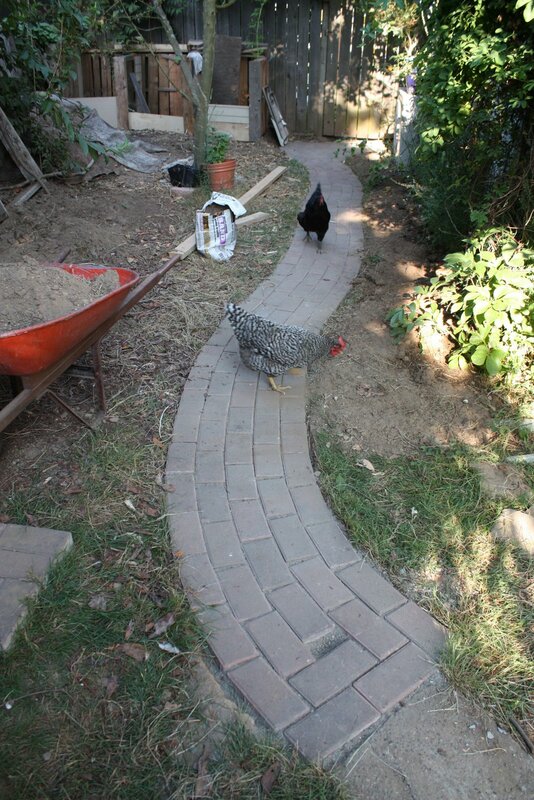 Unlike building the coop, digging the gardens, building the potato boxes, and constructing the fences, the only thing I enjoyed about building the walkway was _finishing_! 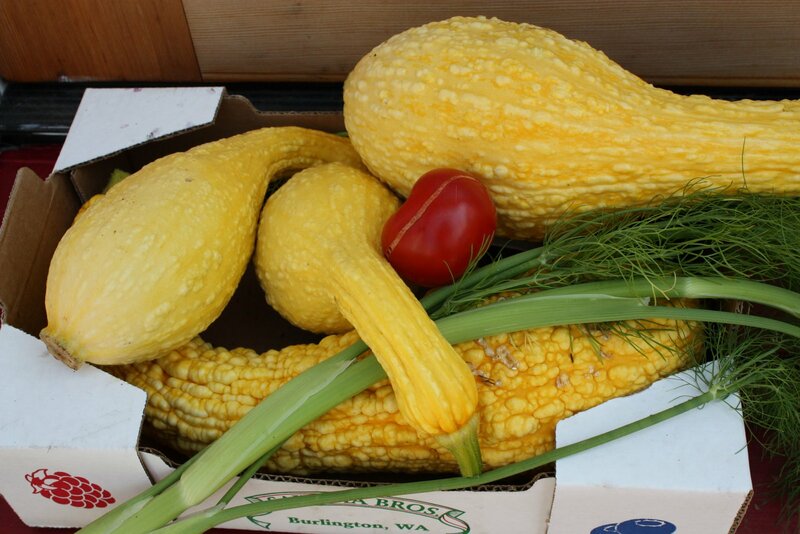 Random assortment of things that needed picking: crookneck squash, fennel, tomatoes. 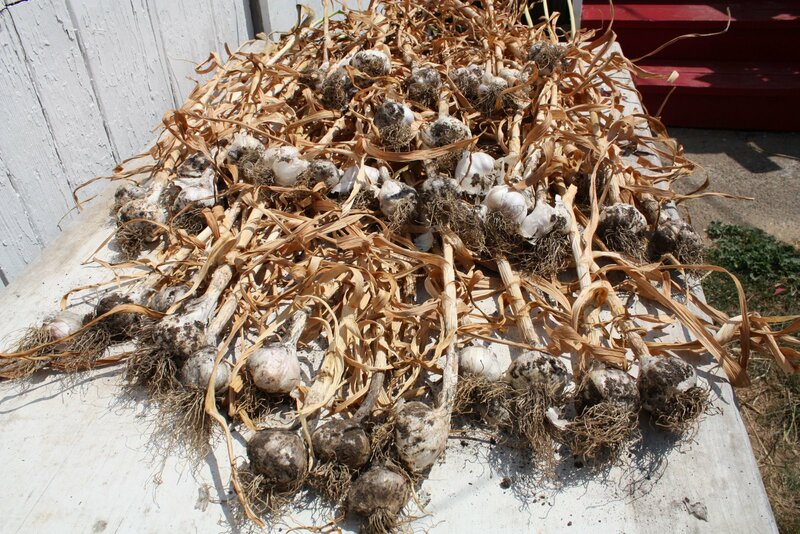 The whole garlic harvest – I lost some to rot but probably still got 45 bulbs I hope will take us into winter. 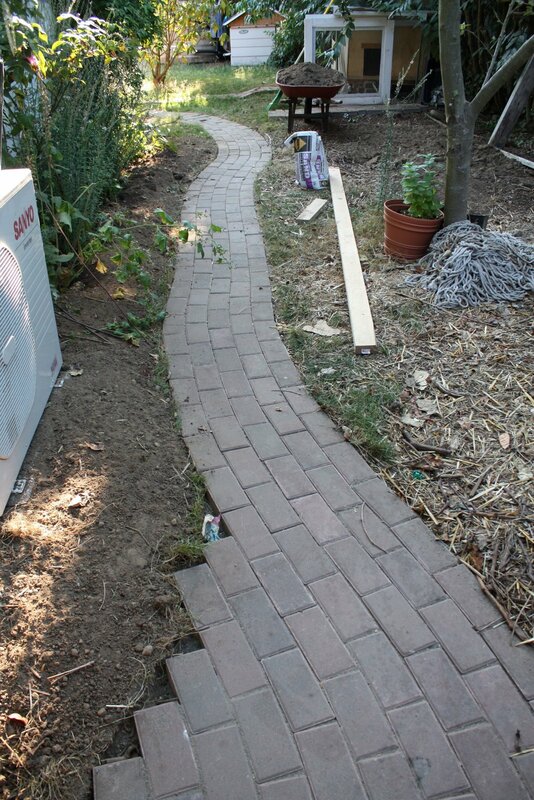 This entry was posted in DIY, harvest, vegetables. Bookmark the permalink. 2 Responses to 36C in Seattle – really. It's so bizarre that we're having your weather, Jen. 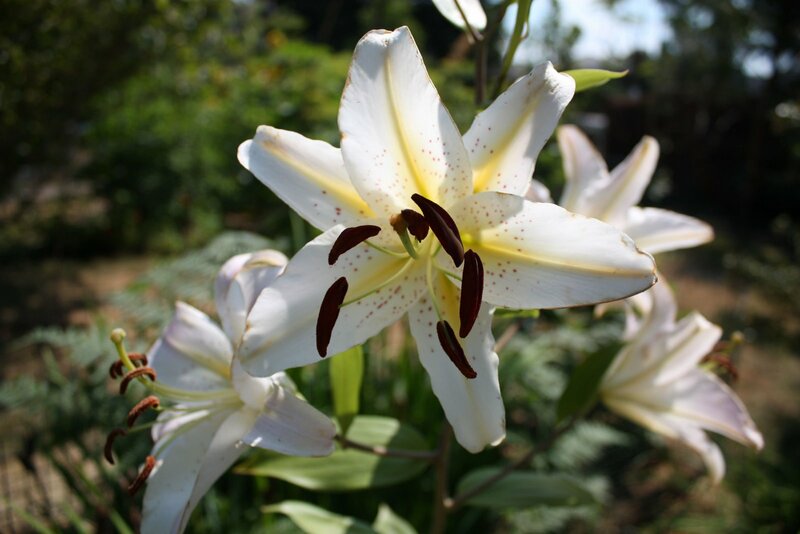 Rainiest July for decades here and highs averaging around 23C – not great for my gardens!